Can you tell us what you understand by the word Modeling? Ans:- Modelling to me is a way of representing and showcasing a brand, being a role model to people, carrying out assignments and tasks as a duty given by your brand, telling stories through your poses on pictures. Ans:- Hmm, well firstly modelling has been painted differently by different people because of what they see as its outcome. To answer your question, to me I would say it doesn't pay as much except there are other things "immoral activities" attached which are done behind the scenes in which the people outside don't see clearly. Ans:- Well it's not actually a side job because I am still a student but in my final year though. Miss Bassey Annie Emem can you tell us who your role model is in the modeling industry and how he or she has impacted you positively? Ans:- Well i didn't go into modelling because of someone. I actually really like the concept of taking pictures, not just for my social media page or for memories but for a wider audience. Pictures that tell a story, pictures that can inspire people to want to be a part of it. So you mean to say you have no role model in the modeling industry? Ans:- I feel really good, I love when attention is on me, i love taking on tasks just like i did in our Festac centre for our promo photoshoot, I also love fashion as a whole. 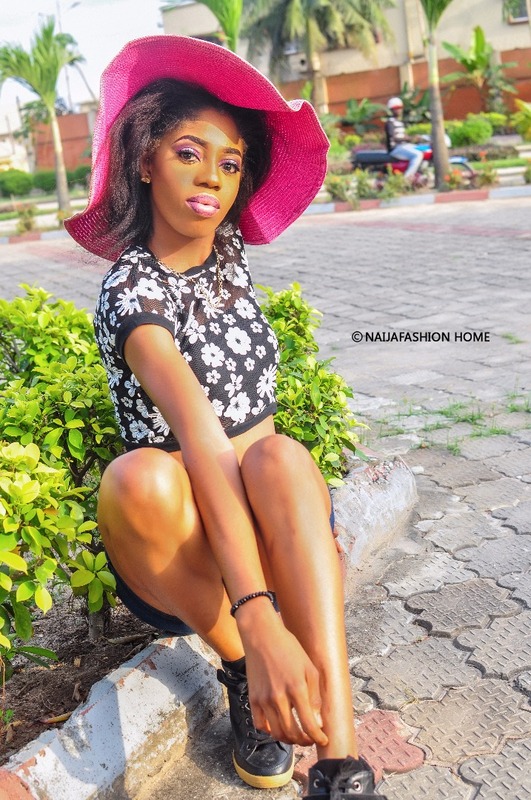 Miss Bassey Annie Emem Is modeling a profession that you will advise young people to be involved in? Ans:- I always advice people to do what makes them happy. I wouldn't advice young people to be involved full time at the beginning. Take it slow. See where it goes, if you actually like it for it and not for what you see on television and magazines. Ans:- I would help my brand to organize activities such as photoshoots with outstanding concepts to wow them, seminars and talk shows with top models to advice young people out there and also contests that will enable them be a part of it. Are you Aware Of This year NFH Anniversary Gala Night? What Are your Expectations for this year NFH Anniversary Gala Night? Ans:- I'm expecting the event to turn out well, to be fun and inspiring. Are you one of the contesting Models? Ans:- No but one of the runway models. Lastly Miss Bassey Annie Emem, What are your advice to Upcoming models and audience who are viewing this interview? Ans:- To upcoming models, I hope my thoughts has been able to inspire you. And to the audience, don't miss out on all updates concerning the NFH anniversary week. 0 Response to "Journey To NFH Anniversary Gala Night With Miss Bassey Annie Emem(Modeling As A Profession)"